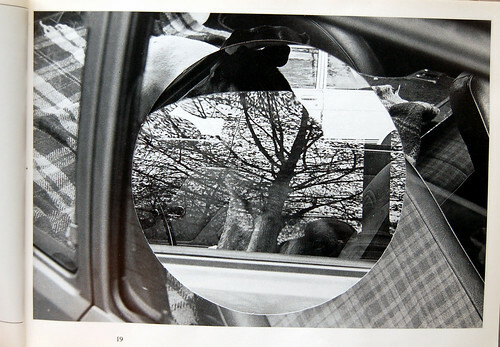 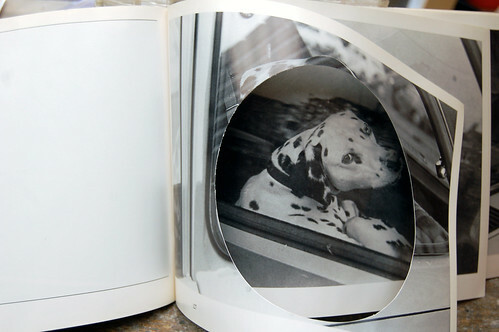 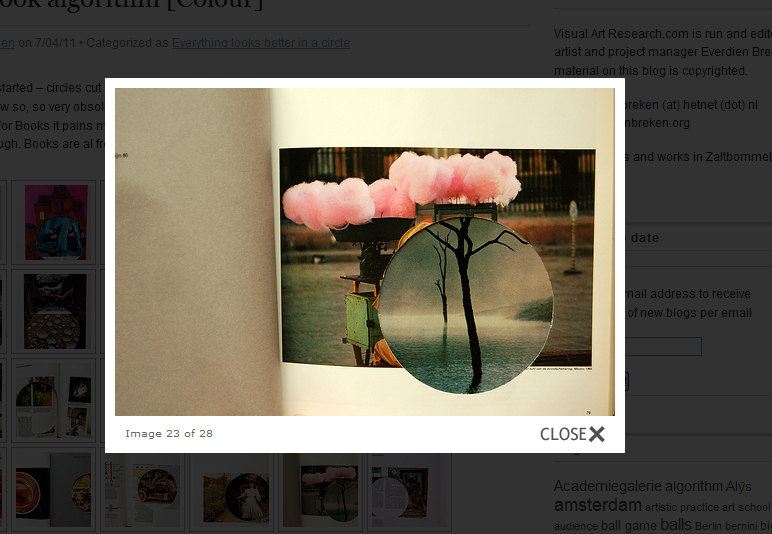 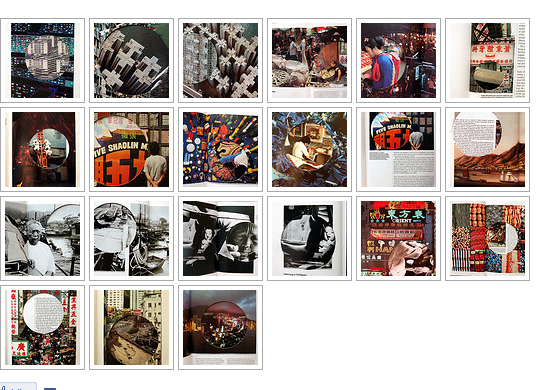 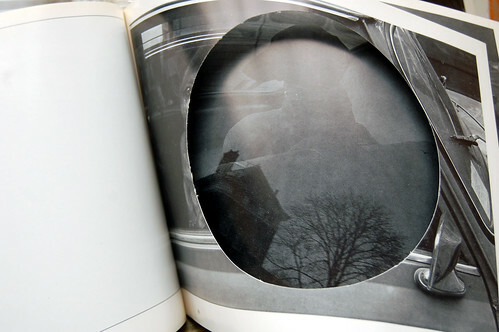 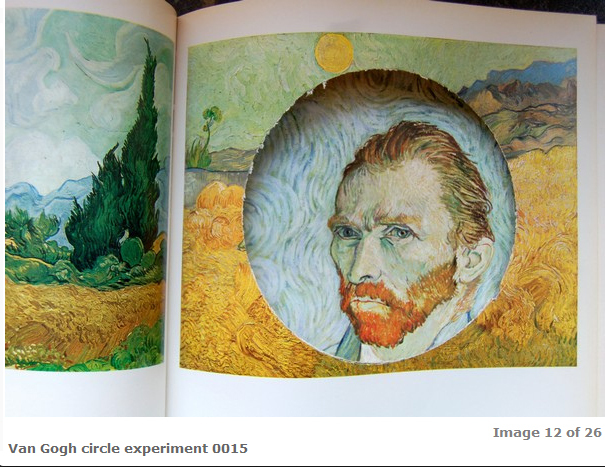 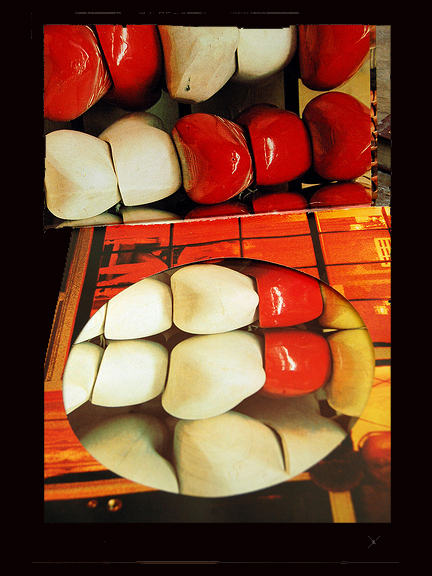 Let loose the circle algorithm on a second photo book. 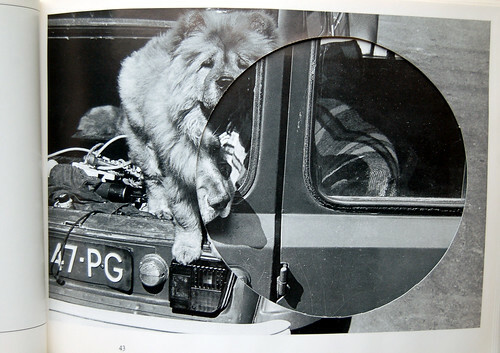 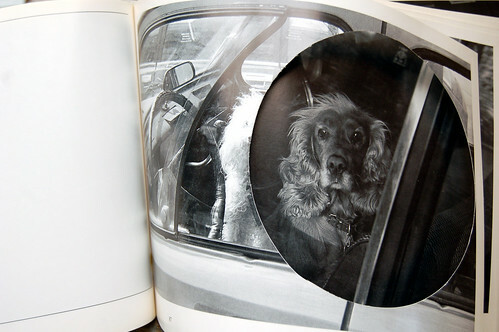 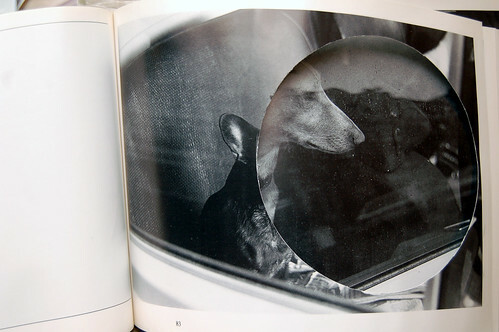 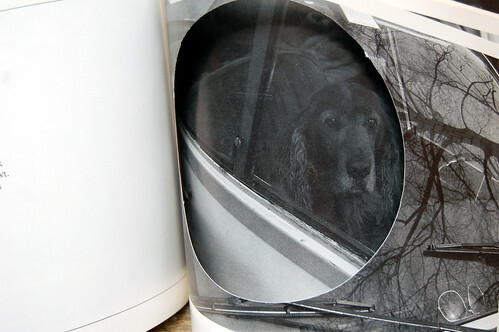 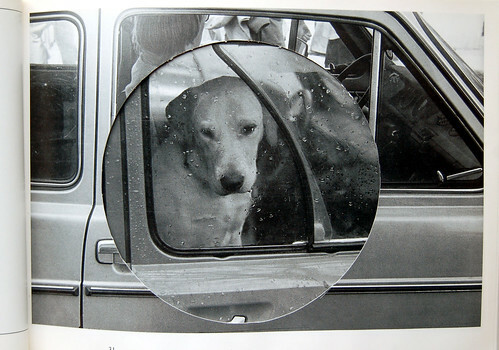 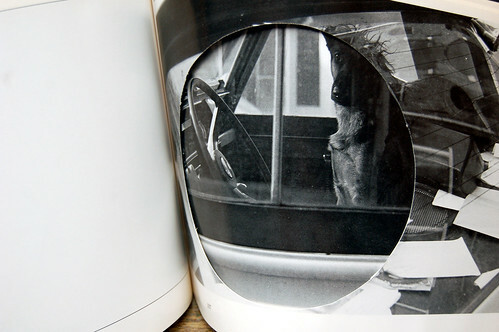 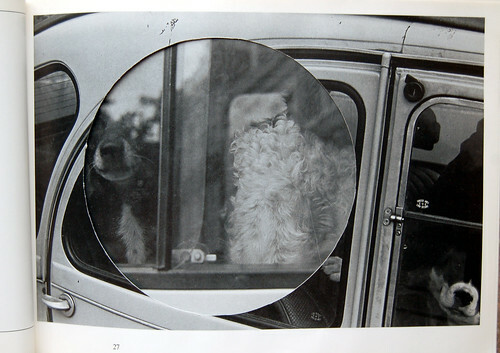 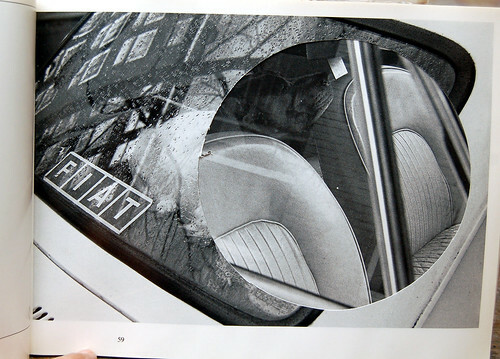 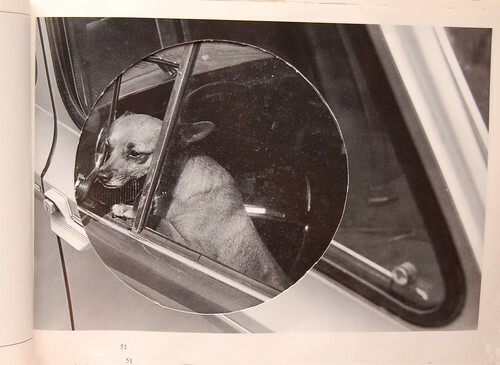 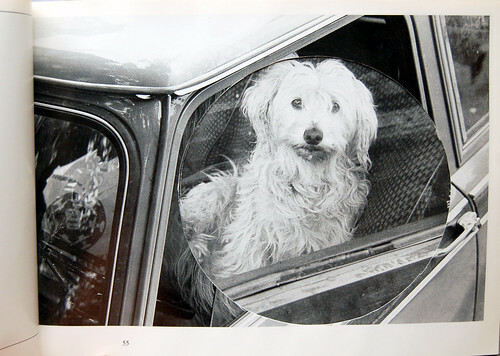 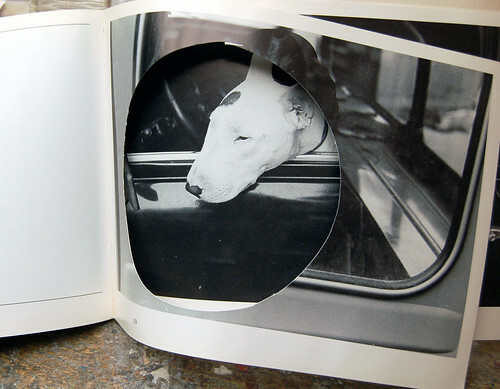 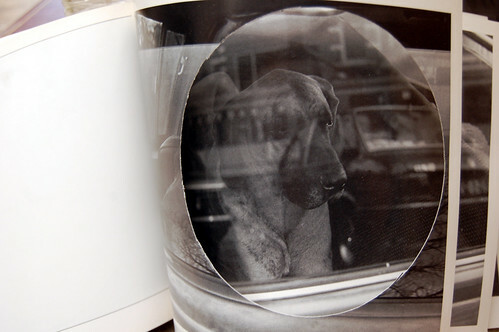 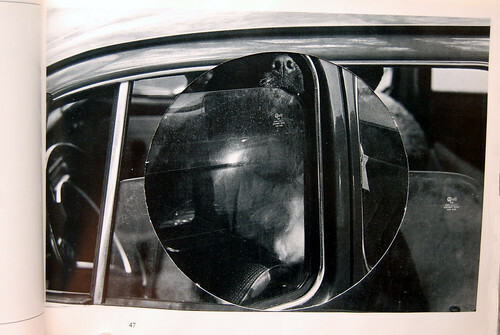 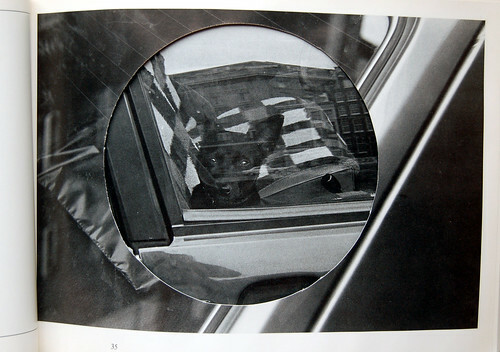 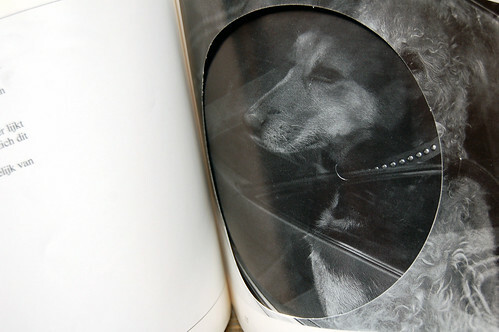 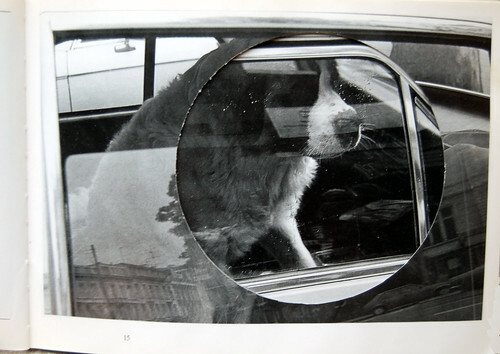 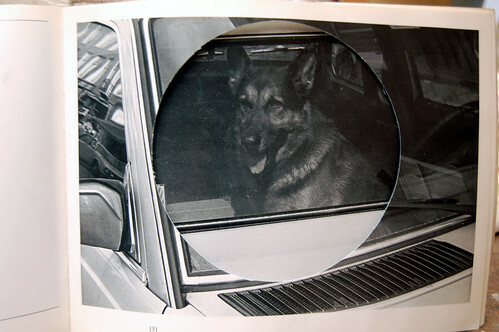 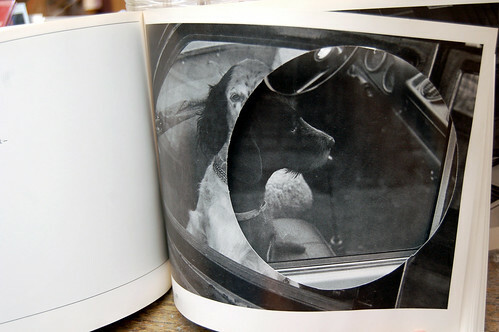 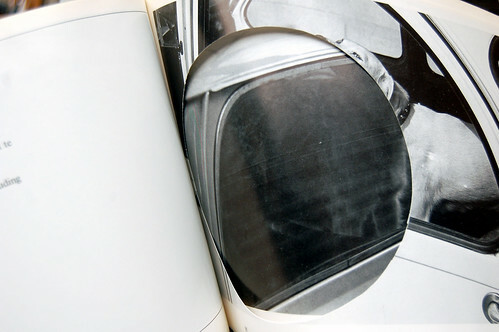 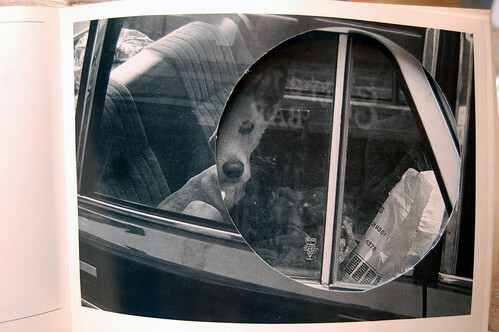 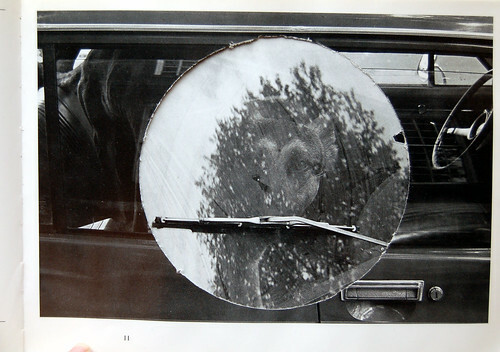 This one is titled ‘Hond op Wacht’ – ‘Watchfull Dog’ – it is a book about dogs sitting in cars. 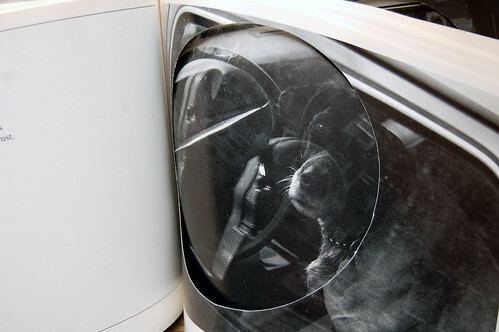 Which is a great subject for a book, of course, one that took my fancy a couple of years ago as a perfect example of what serializing can do. 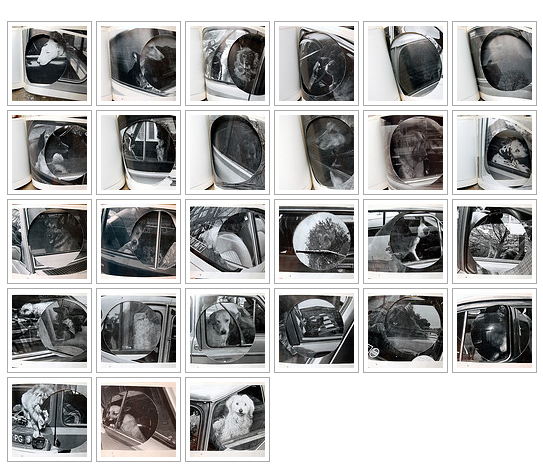 Taken as a series these totally uninteresting photo’s take on a new meaning. 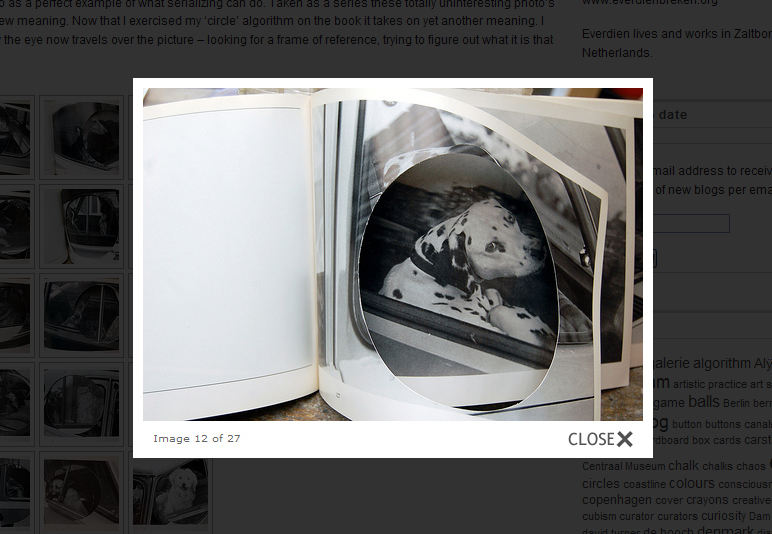 Now that I exercised my ‘circle’ algorithm on the book it takes on yet another meaning. 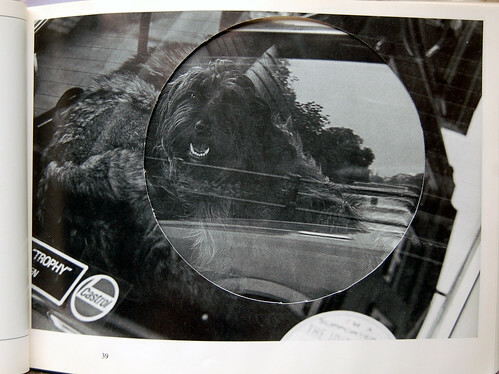 I like the way the eye now travels over the picture – looking for a frame of reference, trying to figure out what it is that I look at.